Dual Certified ATEX & IECEx Stabilized Microwave Communications: Are You Covered? When we first decided to develop our DVM EXP2, a tracking and stabilization system engineered specifically for use in potentially explosive environments, we took the time to look at the current and proposed regulatory landscape for guidance in creating a system with full compliance. While it’s certainly not the cheap or easy way of building a dedicated solution for the oil & gas market, we knew that a solution that followed the rules, took advantage of today’s technological advancements, and positioned itself for the market’s future was best way of moving forward. Countless days and nights were spent in multiple time zones developing a system that is the most accurate, safe, compliant, and future-proof on the market. We’ve worked with officials, customers, and partners alike to ensure a solution that is suitable the world over. From Norway to the Gulf of Mexico, Australia to Nigeria, our DVM EXP2 system was made to insure a seamless deployment, no matter the political landscape or regulatory environment. From this decision came the world’s first and only dual certified ATEX and IECEx, stabilized microwave communications solution. The DVM EXP2, short for dual certified, explosive atmosphere protection, is the only system engineered to comply with today’s ATEX and IECEx regulatory standards. In fact, due to its unique dual certification, the DVM EXP2 enjoys much easier adoption within traditionally challenging country specific permissions environments such as Brazil’s INMETRO, India’s PESO/BIS, China’s CCC, and Russia’s GOST-R bodies. The key to the DVM EXP2 ‘s adoption advantage was its development to meet and exceed the most stringent IECEx specifications. While developing a system solely compliant with ATEX 2014/34/E-U specifications would have been easier and cost effective, we believed IECEx to be the next-generation compliance standard for a safe, consistent hazardous-area solution. As the regulatory environment has matured, our decision has proven to be correct. While some countries still require ATEX certification, others, including Australia and the USA have recently updated their regulations to outright ban the use of ATEX-only certified solutions on offshore equipment due to their preference for dual certified solutions. Because of this, in regions with limitations on ATEX-only certified solutions such as the USA and Australia, our DVM EXP2 is currently positioned to be the most compliant offshore stabilized microwave solution in the world. This is especially important for operators who move their assets from one region to another. 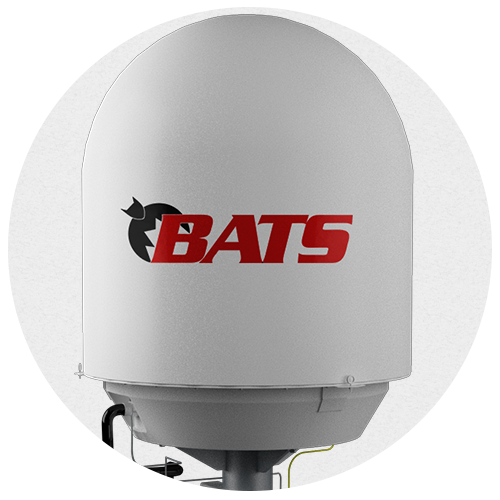 By eliminating their need to find a standards-compliant stabilized microwave solution for each new location, BATS DVM EXP2 system drastically reduces costs associated with asset relocation. As efficient reuse of assets becomes more critical to your operations, and the world straddles between the ATEX and IECEx regulatory framework, we have to ask – are you covered?